Numerous children around the world do not receive the full emotional, physical, educational, and psychological support critical to development in their early years. This inequity has become a focus of major initiatives worldwide, in part due to the United Nations Sustainable Development Goals (SDGs)—specifically Goal 4.2, which aims to “ensure that all girls and boys have access to quality early childhood development, care and preprimary education.” One such initiative by the G20 Development Working Group has laid out proposals “to invest in the development of every child’s first 1,000 days of life,” as “43% [of children] under five years of age in low and middle income countries are at risk of not reaching their full developmental potential”, mainly due to structural poverty. Poverty alone, however, does not account for lack of resources. Violence threatens an entire generation as “70 million children aged zero to six years old have spent their entire lives in conflict zones”. Unless immediate and continuous action is taken to support educators in regions experiencing conflict and to make quality early learning safe and accessible, we will witness the severe ramifications of a lost generation. “Innovation in Children’s Education,” a highlighted session at the 2018 NAEYC Annual Conference, featured speakers from the Sesame Workshop, a nonprofit organization behind the creation of Sesame Street™, and the International Rescue Committee (IRC), a refugee resettlement and international aid organization. Moderated by NAEYC CEO Rhian Evans Allvin, the speakers shared their most recent and innovative early childhood education initiatives for young children affected by the Syrian refugee crisis. Charlotte Cole, from the Sesame Workshop; Alice Wuermli, from New York University’s Global TIES (representing the initiative’s research component); and the IRC’s Katie Maeve Murphy discussed the initiative’s emphasis on local involvement and participation in order to gain community trust, promote fidelity, and ensure project sustainability. They also highlighted the initiative’s replicability in other displacement crises around the world. A sign of early success, the Lego Foundation has pledged another $100 million to expand the initiative’s reach to more children in and around Syria and to further address the Rohingya refugee crisis in Bangladesh. The IRC and Sesame Workshop have partnered to provide early childhood education in the educational vacuum of the Syrian refugee camps and in surrounding countries—Jordan, Lebanon, and Iraq—overwhelmed by high numbers of displaced people. As recipients of the Macarthur Foundation 100&Change grant of $100 million in December 2017, these two organizations have developed a multifaceted approach that spans a five-year implementation program. Centers receive capacity-enhancing training, and families benefit from home visits, with resources provided on coping and caregiving. Expected to launch in Fall 2019 is a local Sesame Street™ TV program delivered in Arabic. This exciting component introduces situation-sensitive and culturally relevant media to encourage children’s continued education. The show will focus not only on language and math skills but also on social and emotional development, providing examples for children of problem-solving and inclusion strategies demonstrated by Sesame Street™ Muppets in situations similar to the children's. Why does this matter? Perhaps you’re thinking that we in the US have our own challenges and inequalities in early childhood education to face and that our energy and funding should be targeting domestic issues first. To be sure, we have disparities to address in education and equity in our own country; but that shouldn’t bar us from investing in children around the world at the same time. The two issues aren’t mutually exclusive, and the results of the current refugee crisis will be felt for generations to come, far beyond the borders of Syria. Developing high-quality early learning and working toward a society in which all young children can grow and reach their full potential, no matter their geographic location, family background, or financial circumstances, has been the foundational vision and mission of NAEYC since our inception. As we grow increasingly interconnected in the global economy, and as the demographics of the youth we serve change and diversify, these are issues that will touch us and our children directly. Those 70 million children around the world who have known only conflict will grow to be 70 million adults, many of whom will face residual trauma and will struggle to make up for the void of quality education and care they experienced in formative stages of their lives. Initiatives like the Sesame and IRC collaboration offer an opportunity to empower young children and educators to begin the arduous process of rehabilitation. Welcome refugees into our communities and work with resettlement agencies to ensure these children receive the same high-quality care and education as their peers, while providing families with additional support and including them in their children’s education. Spark conversation around these issues within communities, such as through affiliates and the Hello Forum. Sharing information, resources, and efforts to provide nurturing environments for children of refugee families can spread new ideas and create significant impact. Celebrate the diverse languages and cultures children bring to classrooms, while being sensitive to past trauma and hardship. Engage young children in developmentally appropriate conversations and service learning activities that emphasize empathy, inclusion, and the concept of basic needs. This can foster a deeper understanding and compassion for the plight refugees face. Present and attend sessions at the NAEYC Annual Conference on topical and pressing matters affecting children, using the convergence of experts and educators to collaborate and find new solutions. These children are, arguably, the world's most vulnerable, and by improving their lives, we create a more stable and secure world for us all. Our Global Engagement department works to support the early childhood profession and promote high-quality early learning worldwide. Interested in our work? Want to see a specific topic represented in our blogs? 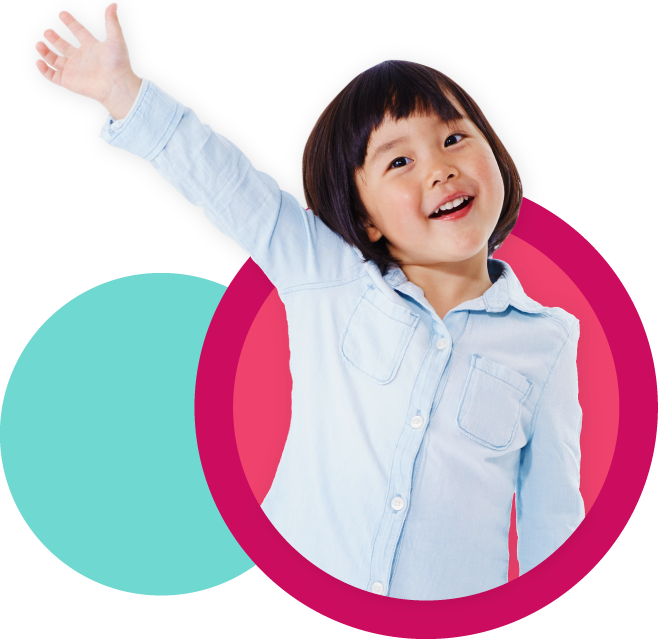 Connect with us at global@naeyc.org or engage with us on the Children’s Global Issues Interest Forum in Hello. For more information on the Sesame Workshop and International Rescue Committee collaborative, please visit refugee.sesameinternational.org/. Dakota Saunders is Global Engagement Coordinator at NAEYC.